Irish expertise spans a wide range of fund services including fund administration, transfer agency, depositary, legal, tax and audit services, stock exchange listing, compliance, technology and consultancy services. Whether you domicile your fund in Ireland or another jurisdiction will shape the services you may need. Read about services for non-Irish funds. Fund administrators are authorised and supervised by the Central Bank of Ireland to handle the day-to-day operations of a fund. They are a ‘back office’ function and are responsible for making sure everything is done to enable the fund to run efficiently in all aspects, except the actual investment of assets. Fund administrators typically handle or coordinate with other service providers for auditing, company secretarial services, depositary services, listing on the stock exchange and transfer agents. Ireland is a recognised leader in administration for investment funds. This reputation extends to both Irish-domiciled funds and funds based in jurisdictions around the world. There are more than 40 administration companies operating in Ireland. Transfer agents play a crucial role in investor servicing. The transfer agent is usually the primary point of contact for investors wishing to invest in a fund in Ireland. In addition to providing high levels of service, transfer agency staff need to be proficient in the requirements of the funds and in the regulatory requirements applicable to the provision of transfer agency services in Ireland. Ireland is well-known for its experienced transfer agents. This reputation is firmly established for both the retail and alternative investment sides of the funds industry. Each Irish regulated Collective Investment Scheme must appoint a depositary located in Ireland.The depositary role has evolved and been harmonised further at EU level since AIFMD, and UCITS V updated the duties of a UCITS depositary to bring these in line with AIFMD. The depositary is required to supervise the investment activities of the fund and to report to the shareholders/unitholders on an annual basis as to whether the fund has operated in accordance with its prospectus and the applicable regulations. Under AIFMD and UCITS V the depositary has restitution liability throughout the custody network for ﬁnancial instruments lost while in custody and has more prescriptive duties relating to daily monitoring of all cash ﬂows, reconciliations and veriﬁcations, due diligence and risk assessments, segregation arrangements and sub-custody oversight. In addition to their prescribed duties, depositaries generally provide security settlement, income collection, corporate action processing, cash management and securities lending services. Ireland is a centre of excellence for UCITS and AIFMD depositary services, with more than 20 specialised depositary service providers located here. Irish depositaries have extensive expertise in dealing with prime brokers appointed as sub-custodians, having pioneered this practice under Irish regulatory requirements in place prior to AIFMD. Since AIFMD, the Irish industry has led the evolution of standards to meet new requirements and has issued updated guidance to assist in compliance. In addition, following the implementation of AIFMD, certain non-EU AIFs being marketed into the EU under private placement arrangements are required to appoint one or more entities to provide certain depositary functions and Irish depositaries specialise in providing these “depositary lite” services to those non-EU AIFs. Irish domiciled funds generally appoint an Irish based law firm to act as counsel to the fund to carry out initial fund set-up and launch activities. Of the fund managers that do not have a physical presence in Ireland, many have established their own Irish authorised management companies. you are setting up a fund where having a management company is a requirement and it will be a signatory to the trust deed constituting the fund. it can act as the central coordinator of service providers for the fund – i.e. the fund will delegate all management activities to the management company which will then appoint a fund administrator and different service providers. Requirements for establishing a management company in Ireland are laid out by the Central Bank in the collective CP86 rules and guidelines. If your fund is Irish-domiciled, you are required to submit audited financial statements to the Central Bank within 4 months of the end of the financial year. An auditor's signature on the annual financial statements of investment funds is a regulatory requirement. What is not a regulatory requirement - but part of every audit - is the business intelligence that the accounting firms bring as part of the audit process. They can give advice on how to address challenges and opportunities identified through the audit process. Irish funds are served by all of the major international accounting and auditing firms. These firms have invested heavily in resources and technology to expedite quality auditing in a specialised area and use their global networks to ensure that the Irish funds industry keeps pace with all international trends and developments. The audit and accounting firms help their investment fund clients to solve complex business problems by providing assurance and risk solutions that reasonably enhance their ability to build value and improve performance. Company secretarial services (or domiciliary administration) are generally included in the agreements issued by fund administrators or company secretarial companies to fund structures and management companies. Provision of legal address - Funds and management companies authorised by the Central Bank must have their registered address and head office in the jurisdiction. Constitutional and statutory documents will be retained at this address. Payment of fund directors - Irish fund structures and management companies must have a minimum of two Irish residents on their board. Their fees are subject to local tax in Ireland. Hosting of board meetings/preparation of board packages - Funds and management companies are expected to hold at least two board meetings per annum, preferably within the jurisdiction. Filings with the Central Bank/Irish Stock Exchange/Companies Office - The company secretary/domiciliary administrator will ensure that all local regulatory reporting is completed and filed according to statutory and stock exchange (if applicable) deadlines. Euronext Dublin is recognised worldwide as the leading centre for listing investment funds with over 5,000 fund share classes listed. Euronext Dublin is part of Euronext, the pan-European exchange operator. The fund must publish listing particulars, approved in advance by Euronext Dublin, which include all the information which is relevant and necessary to allow a potential investor to make an informed assessment of the fund. The same document can be used for regulatory approval and listing approval. Review times are carried out within 2 business days. If you are interested in listing a fund on Euronext Dublin, a listing sponsor can handle the listing process and advise on the ongoing compliance requirements. Read more about listing a fund. Visit the official website of the ISE. 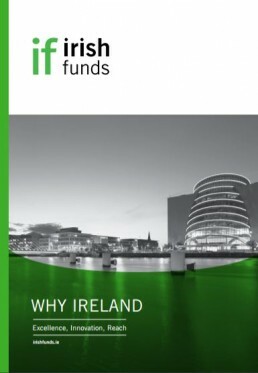 Get the latest statistics and data on the Irish funds industry and find out why Ireland is the proven choice for over 900 global managers.